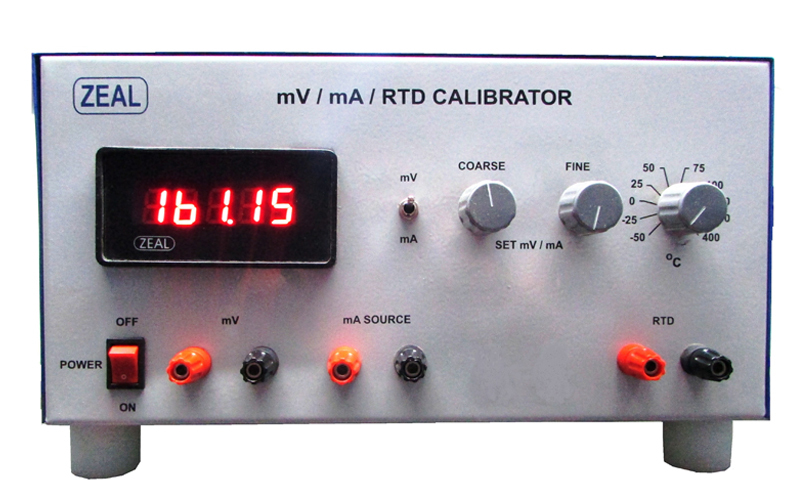 We are Manufacturer, Supplier, Exporter of mV / mA / RTD Calibrator and we are also specialized in Calibration Services ( Calibrator ). Our setup is situated in Pune, Maharashtra, India. Controls • Selector switch for mV/mA selection. • mV/mA setting by coarse & fine multiturn potentiometers. • RTD range selection by Decade Switch. Accuracy mV/mA: 0.1% ± 3digit. 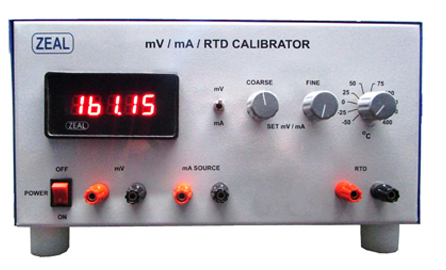 mV / mA / RTD Calibrator Model ZMPCM is specially designed for onsite calibration and trouble shooting of process control instruments such as - indicators, controllers, isolator’s two wire transmitters etc. Instrument operates on 230 VAC and is immune to noise and pickups generated in plant. It incorporates mA Source and Sink ( Measure ) & mV Source along with potential free RTD Simulator. 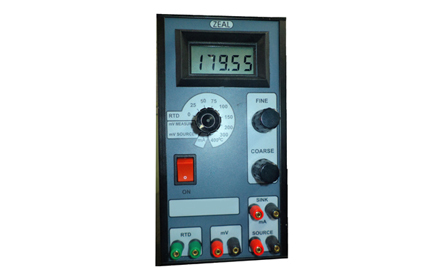 This calibrator is used for calibration and trouble shooting of process control instruments such as-indicators, controllers, isolators, two wire transmitters etc. It incorporates mA (Source and Sink),mV Source along with potential free RTD Simulator. 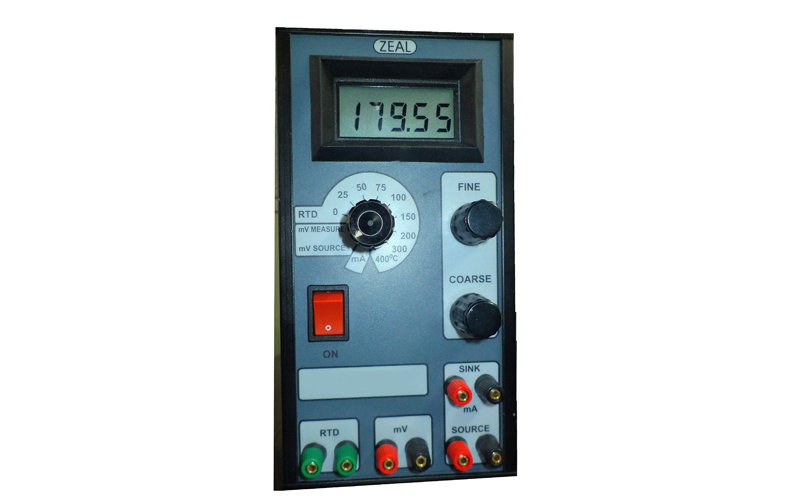 Instrument operates on two 9V batteries and it is highly reliable.